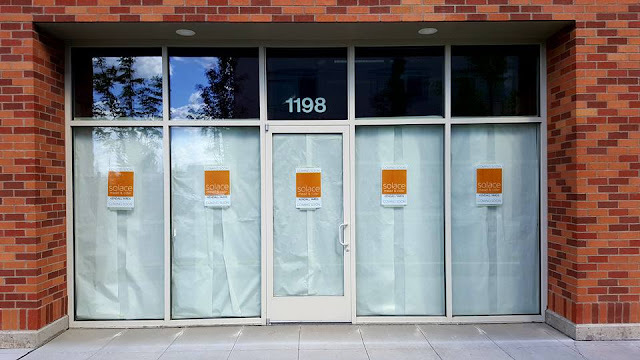 Although they do have a way's to go before they swing open their doors, an exciting new scratch bakery with several different types of breads and heavenly coffee cake is in the works along Grand Ave. on the South Hill. Twenty Seventh Heaven will bake everything from scratch using as many local ingredients as possible . It is to have a retro / modern type feel with a vintage hand painted open / closed sign , sample kraft boxes and bakers twine for to go orders, although there will also be some indoor dining as well. The bakery will specialize in their heavenly coffee cake and will also have fresh breads in many different flavors and cupcakes in a good selection of flavors. Coffee will be available along with a few other " select " beverages. The North Idaho Outlets mall in Post Falls will likely never be the shopping destination it was when it first opened in 1991. But, unlike many large shopping centers across the country, the North Idaho Outlets ( originally known as Post Falls Factory Outlets ) are showing some hope for a better future. This is because in January it was announced ( first by this site on our Periscope feed, by the way )that Tedder Properties was acquiring the entire property off of a California based owner and had plans for both buildings, which face each other along Riversbend Ave. in Post Falls. The southern building will soon act as a manufacturing facility and corporate HQ for Tedder who has grown to be a successful company creating the Alien Gear holster brand. Tedder Industries has been actively constructing their operations in this building, but as of today it doesn't look like there has been any actual production done at the site, only remodeling in preparation. It's the North building of the North Idaho Outlets that's starting to show early signs of new businesses. The two businesses that still remained from the old outlet mall are still in business but two more are now setting up shop, and an additional two more have filed business license's for address in the shopping center. In addition to these businesses Tedder Industries is using a space near the middle of the shopping center as a leasing office. 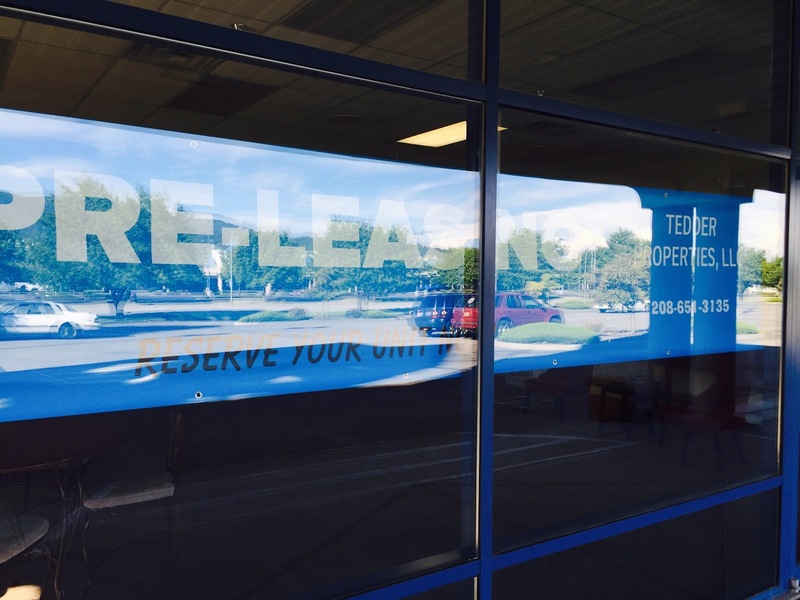 A sign in the front window advertises pre-leasing of spaces but there doesn't seem to be any online leasing information about the property as of now. A couple of other spaces look to be setting up for some sort of new businesses as well but they may just be temporary office spaces for Tedder Industries, it's hard to tell at this point. We're also thinking the name may change at some point as well as the property will offer some retail businesses but no actual outlet stores other then the remaining Hanes store. 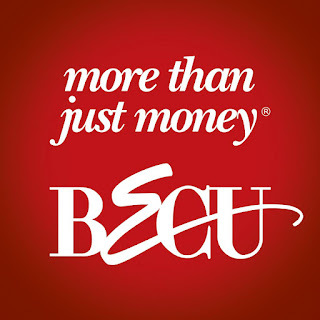 BECU ( Boeing Employee Credit Union ) announced late last year that they had plans to open a series of new branch locations in the Spokane area. These will be the credit union's first expansion outside of the Puget Sound region and was deemed necessary as BECU already has over 4500 members in the Spokane area. BECU will also continue to operate it's customer service call center from Spokane ( with over 100 employees ), like it had for sometime before the new branch announcments . BECU is a non-profit credit union, who's profits are turned over the members in the form of fewer fees and better rates on loans. The credit union also, already has realtionships with several local non-profits and schools and plans to continue giving back the community. At the same time BECU is planning to branch out with new Spokane area locations, they are also branching out to the Boeing plant in South Carolina. While Spokane will be first in line to get a BECU branch, two more are scheduled to open inside Boeing's factory in North Charleston,SC . Membership with BECU is open to all who attend school , live, work or worship in Washington State. You can also join if or a family member of yours is or was employed by Boeing or it's subsidiaries. Business owners who need a new location, or those seeking to start a new business will want to make note of a large new commercial / industrial development currently being planned on the West Plains. The development, which is to be called Rowand Commerce Park will rise on 54 +/- acres just north of the Geiger / I-90 exit, a convenient location to Spokane International Airport. Rowand Commerce Park is currently a collection of fields surrounding the Rowand Mechine & Washington State Police buildings. But planning is going full force with hopes of actual construction starting this fall. Although they cannot say who, they do mention there already is a small group of tenants already signed onto to sites in the park. The development, as seen in the picture above could one day house several large buildings, likely meaning lots of new jobs . Also noteworthy is that while the bulk of the project would be Industrial, Warehouses and similar however a portion of the project falls near the actual I-90 interchange. Making lots in that area prime for all kinds of retail / restaurant or even hotel development. This commerce park could be the start of some big changes for this area, as the Airway Express Inn site is also for sale for development land similar to this project. I think we all hoped it wouldn't come to this when Hastings announced it's bankruptcy filing a couple of months back. But, sadly it is now official that all Hastings Entertainment stores will soon shutter. The Amarillo,TX based chain of mid box entrainment stores went up for auction this week in a Delaware bankruptcy court and was acquired under a joint agreement by Hilco Merchant Resources,LLC & Gordon Brothers Retail Partners who will oversee the going out business sales, turning over sales back to the company's creditors. Hastings, which sells movies, video games, books and much more in it's stores has operated 2 stores in Spokane, 1 in Spokane Valley and another in Coeur d' Alene. Under the sale agreement all stores must be closed by Oct. 31st 2016, although some may close prior to that date as long the company provides the store's employees 7 days notice. Hastings has been in business since 1968 and operated 126 total locations through-out the Western and Mid-western United States. The company also employed just shy of 3900 employees chain-wide , all of which will be laid off. As this announcement is still new there has yet to be any news as to who might re-fill the store sites left behind by the company. The Spokane Tribe announced this week they plan to have construction crews at the site beginning this fall, with construction of the entire development to be done in phases ( 10 phases in all ). If all plans hold out the first phase ( which includes part of the Casino itself ) would open to the public sometime in 2017. - Casino initially with 450 slot machines and 12 table games. - Two new restaurants , one of which will be able to seat 190 and offer value priced fine dining. The Spokane Tribe is working with Warner Hospitality , a Las Vegas based casino developer and has previously announced the casino will likely align itself with the Hard Rock branding. A hotel is included in the project but appears to be in an upcoming phase and not for the initial opening. Phases after the first will likely follow quickly after completion. The project will rise on the west side of Airway Heights by the corner of US 2 & Craig Rd on land already owned by the Tribe. The Casino will be the centerpiece of the project but should also include hotel rooms, new restaurants & shopping , event facilities and much more. In all the Spokane Tribe estimates 5000 new jobs will be created by the project with no set completion date for it's full build out. Recently inlandnwbusiness.com broke the news that a Burger King franchise, complete with indoor dining area & a drive through was eyeing the former Shari's restaurant location at the corner of N. Monroe & W. Indiana. Well, plans have changed as the plan did not meet city's " centers and corridors " regulations which largely regulates drive though in pedestrian areas allowing them to not be in-between the building & the street as was the case with Burger King's plans. This news caused Burger King to back out of property sale, the abandoned former restaurant will remain on the market with no plans yet as to wither it will in fact stay or be demolished. Spokane's newest Denny's restaurant location officially opened for business at dinner time this past Monday. Like all other Denny's locations it is open 24 hours and is operated by California based franchisee Feast Properties,LLC . It is located at 3525 N. Division by the Division St hill and is the 3rd Denny's in the Spokane area. It is also unique as it is this area's first location using the chain's new " heritage prototype " design style. The location is 4400 square feet and has seating for about 150. Two Green Bluff based spirit producers have announced plans to join forces for a new co-op style tasting room which is coming soon to Spokane's Kendall Yards development. The new tasting , which will be called Solace Mead & Cider and will be a joint venture of Hierophant Meadery & Apothecary and Twilight Ciderworks. The new storefront at Kendall Yards will be run in conjunction with the businesses existing production / tasting rooms on the East Loop of Green Bluff. Work to open Solace Mead & Cider has already begun and should wrap up in time for the space to open sometime in September. Couple of commercial buildings being demolished for ? It's happened a bit suddenly but the abandoned former Albertson's grocery store at Sprague & Pines in Spokane Valley is coming down and being the lot being cleared. But for what... as of today I must be honest, I don't know yet. The building is owned by Spokane based developer Harlan Douglass so we assume something is in store but nobody is saying. Keep watching for more news on this in the coming weeks. But, unfortunately this week crews began taking down the single story structure for Evergreen Parking Service , who will pave over the building's site for a new pay parking lot. While this is the last thing Spokane needs, we can only hope someday the lot will be re-developed. The Couple of Chefs food truck has been one of Spokane's most popular food trucks, and is now moving their business on to the next level . The business, which can be found parked in and around Downtown Spokane most days, and at several local events when they're not Downtown, will soon open a breakfast & lunch place of there own. They will call the business Bruncheonette and hope to open it sometime in the fall after some building remodeling. The new restaurant will take the space last occupied by Knockaderry Irish Pub & Eatery at 1011 W. Broadway, only blocks from the Spokane County Courthouse & Kendall Yards. Bruncheonette will be a casual restaurant with a menu of breakfast & lunch dishes. The restaurant will be an extension of the food truck side of Couple of Chefs business, which will remain in operation as well. Brucheonette will offer made of scratch meal options, locally produced beer & wine and much more. Catering from Couple of Chefs will also remain available as it is now. Despite having their corporate HQ in Atlanta, and a parent company based out of Brazil , Merchant e- Solutions continues to grow and thrive right here in the Inland Northwest. The company, which has spent some time in office space on Argonne Rd. is wrapping up a relocation that not only increases the their local square footage but also likely their amount of employees. Merchant e-Solutions will create 20- 25 new jobs with their move to a 19,600 square foot section of the former Itronix HQ building at 12985 E. Mirabeau Pkwy in Spokane Valley's Pinecroft Business Park. The new location has been fully remodel with a new modern look, with work done by general contractor Baker Construction & Development. Their new offices act mostly as a call center for customer service, in fact these Spokane Valley offices are the only customer service center for the growing company. Merchant e-Solutions is an electronic payment acceptance & management company , the company processes more then $17 billion in transactions each year, supporting 150 different types of currency and they still expanding. The company joined Cielo, it's Brazilian parent company only recently but has had a office in the Spokane area for the last 15 or so years. The company joins Salesforce.com & Servatron ,Inc. in the building at 12985 E. Mirabeau Pkwy, a building that once served as the HQ for Itronix a locally based heavy duty laptop manufacturer who was bought out and relocated a few years ago. Being only a few doors down from the Coeur d' Alene Super Supplements store will soon be what may be the smartest located juice bar / health conscious restaurant ever. The business is called Grabbagreen and is actually a franchise of a growing Phoenix,AZ. based chain. The Coeur d' Alene location is still being worked on at present time and no exact date is given as to when it might open. We are however told it will be in the next " couple of months " and will be led by franchisee Christina Horton. It will occupy about 2200 square feet of space in the un-named strip mall at 415 W. Neider Ave, but actually facing US 95. Grabbagreen has been in business since 2013 and has many locations either open or presently in the pipeline. They describe themselves as a fast food restaurant where great tasting, healthy food meets the speed & convenience of traditional fast food. Their " eat clean " menu boasts being preservative free, gluten free and GMO free. The business has gathered much praise in it's few years it's been in operating and their website even has a page full of celebrities who've stopped into other Grabbagreen locations including Seth Meyers, Gwyneth Paltrow, Drew Brees and many more ( Not endorsed, just been to a location ) . Grabbagreen does sell several different kinds of smoothies, like several other businesses, but they also boast a good sized menu of healthy food items. Including grain bowls, breakfast items, acai cups & much more. 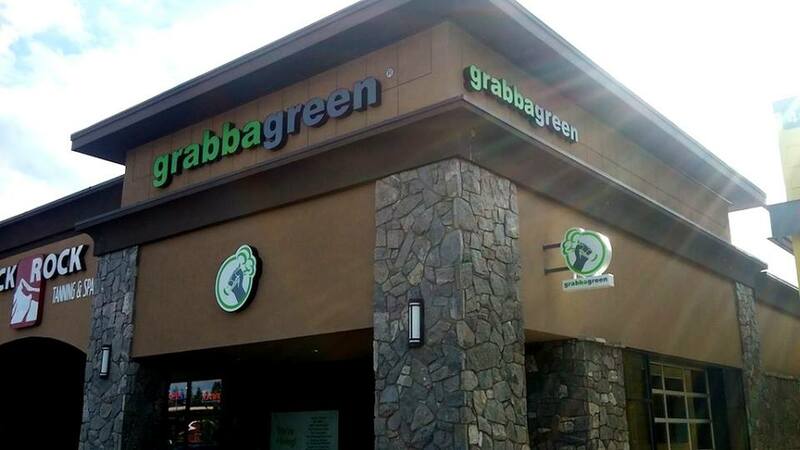 While Coeur d' Alene will be first to get a Grabbagreen location in the Inland Northwest, Spokane is not far behind. The Grabbagreen website also already lists Spokane as a " coming soon " location but has no information about that planned location. We'll be sure to cover that location when we get more information. It's almost here, Carhartt, the manufacturer of outdoor / work gear and appeal is set to open it's new outlet store in Downtown Spokane tomorrow, Friday July 15th. The opening is a few months ahead of the companies original goal of opening their store here this fall. The Carhartt Spokane store is in the corner space of the Bennett Block building at 530 W. Main ( corner of Main & Howard ). It is only a couple of blocks away from River Park Square and across the street from the now closed Downtown Macy's which is to be renovated into retail & apartments in the coming months. Carhartt is based in Dearborn, MI and has in business since 1889, in fact the company is family owned and still under the supervision of descendants of the company's founder ( don't see that everyday... ) . There next closest store is in the Seattle area. - Building permits are in the works to build a new Carl's Jr. at the site of the former National Furniture store at the corner of N. Division & Sharp. National Furniture is still open, just now at 213 W. Ermina . - Construction has begun on a new Sweeto Burrito at Division & Nora, by the White Elephant store. 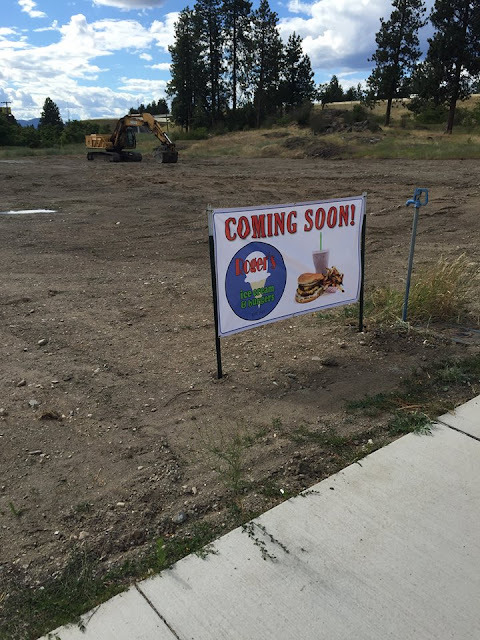 - Sweeto Burrito also looks to be expanding over to Coeur d' Alene as newspaper columnist Nils Rosdahl says they will be on a pad site by Winco on Ramsey / Appleway. We're still waiting on more on this here at the INBW. - Something called Retro Donuts is coming to North Spokane, exactly where and when, we are still working on. - A new bar & pizza place called Slice - Pints & Pizza has opened for business in the Clementine Square building at 829 E. Boone. They feature build your own pizzas as well several specialty pizza options. - Market Street Grill has closed down their restaurant at 3027 N. Liberty ( just off of N. Market ) , citing a lack of business. - Knockaderry Irish Pub & Eatery has also shut down their bar & restaurant in the former Sidebar location at 1011 W. Broadway . - Allie's Vegan Pizzeria & Café is working towards re-opening their fire damaged location at 4803 N. Nevada and in the mean time will be serving up some dishes from an impromptu event called Organic Fusion Fest at the corner of Garland & Lincoln in the Garland District. - The Caruso's small chain of sandwich / pizza shops has filed to build out something called Caruso's Underground in the basement of the Ruby Suites building on N. Division ( where they all ready has a restaurant on the ground floor ) . - A new place called Kabob House is getting permits together to open in the same plaza ( perhaps the same space ) as where Williams Seafood Market & Wines once was on N. Ruby & Montgomery. And, there is still more we're working on so keep watching this site! We have no details yet ( see below ) but have now learned that a new Tomato Street restaurant will replace the now empty former Rock City Grill space on the mall's ground floor. Rock City Grill is planning to re-open soon at their new location on the South Hill ( where Famous Ed's once was ). The rumors are true, the locally owned and operated Yoke's grocery store chain has acquired the 4 remaining Trading Company stores and will re-brand them all as Yoke's once the deal closes. The details of the deal we're not included but it set to close sometime around September. Trading Company formerly had a fifth store in Bonners Ferry but sold it off to Safeway a couple of years ago. Yoke's however has been in expansion phase already with their recent acquisition / remodel of the Haggen grocery store in Liberty Lake. This sale also marks Yoke's first location in Kootenai County and they will now operate 17 grocery store locations. STCU has leased the space that formerly house a Bank of America at 401 E. Front Ave. Suite 100 . The locally based credit union will remodel / re-design the space for their own uses. 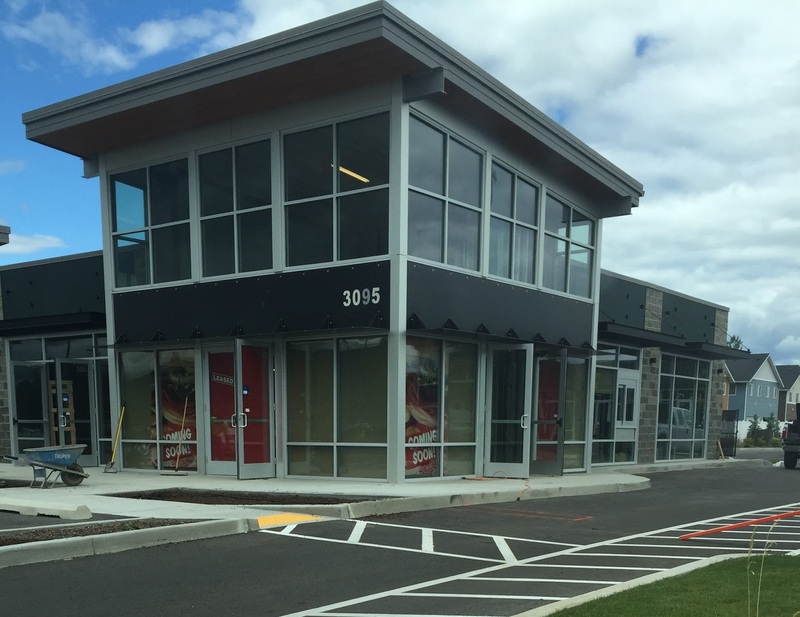 The STCU branch will occupy 3600 square feet and will be similar in size to their other new Coeur d' Alene branch in Crossroads at Coeur d' Alene development on Ramsey Rd. The Downtown Coeur d' Alene STCU branch should open late this year or early in 2017. The planned Downtown Coeur d' Alene Starbucks location isn't as far along as STCU's branch but still looks to be coming to Downtown. The massive coffee chain Starbucks is currently working on developing a store off of what is today a convenience store with gas pumps. The new Starbucks likely won't open for sometime as a full remodel would be required and the tenative plans shows the new building owners also removing the gas pumps out front of the building, something that can also take time. The building has been a gas station for sometime and shared the Zip's name with restaurant next door, however that Zip's was recently re-branded as a Burger Express. Apartments, Apartments, Apartments just like most other areas around the Inland Northwest new apartment buildings and complexes as springing up in Downtown Coeur d' Alene. A new " luxury " apartment building is rising on Sherman next to the Flamingo Motel and we area also now learning of a new 50+ unit apartment building coming soon to the site of the Shady Pines Apartments by the Coeur d' Alene Library. It's likely the mix of a prime intersection and the rapid growth happening on the West Plains that is fueling the new Hayford Crossing shopping center development in Airway Heights. The project, which is at the SW corner of the US 2 / Hayford Rd. intersection, hasn't even had a business open there yet and it's already nearing being fully leased. Hayford Crossing is still leasing 1,000 - 1,200 +/- inline storefront spaces in-between where Supercuts will be and the Grocery Outlet store. Additionally the projects plans call for 7000 +/- square foot office building to built due west of the Dollar Tree store and behind the existing Tire Rama tire store. This is still included but as now as no known tenants signed up for that portion of the development. Hayford Crossing is one of the largest shopping center developments on the West Plains in the last few years with over 56,000 square feet of total space available in a collection of buildings but primarily in the centerpiece inline retail building facing US 2. The development also joins a much smaller shopping center recently added just east of the site on Hwy 2 which is already open and offers both AT&T and a Papa Murphy's Pizza store. It's also hoped that all the new development will re-start an old hold Walgreen's pharmacy location planned to built on the SE corner of US 2 & Hayford Rd. New Float Spa's Opening Around Spokane. A few months ago we we're the one of the first to tell you that the " float spa " business trend was about to come to Spokane with the opening of Float Spokane in Liberty Lake. Now we're back to break the news that that same trend is sweeping into other parts of the area. Float Spokane has now expanded to two locations ( still including the one on Whitman Lane in Liberty Lake ) and new float business called Renew Float Spa is closing in on their opening in the heart of Kendall Yards. But, before we share the details on the local float spa's we feel we must mention what a float spa is, since they are a relatively new concept to most ( despite them actually being around since the 70's ). In a float spa, customers are placed in " float pods " to float in Epsom salts dissolved into water. The float in the quiet dark space allows the customer to feel almost weightless, letting stress and tension to release from the body. This has been shown to help with some illnesses and as well as just general life. Not only is Renew Float Spa riding the float spa trend, they'll do it in the trendy neighborhood of Kendall Yards. Renew Float Spa is scheduled to open for business on July 22nd at 1170 W. Summit Pkwy and will occupy a 1300 square foot storefront with a small staff of 4. Renew Float Spa will have 3 rooms each with it's own float pod. There will also be a shower and will be open 7 days a week. Roger's Burgers & Ice Cream has been a locally owned & operated business in the North Idaho community since 1940, starting originally in Moscow then coming north to Coeur d' Alene in the 1980's. The business has proven to be favorite spot for many and in recent years has even seen some expansion with the opening a second location on Neider Ave. by K-Mart opening in 2012. The main Roger's also is going strong on Sherman Ave, just east of Downtown Coeur d' Alene. And, now Roger's is about to expand their reach once more with the recent groundbreaking of a third location, this time in Post Falls. Construction should take about 5 months which places the opening for Roger's Burgers Post Falls sometime around the end of the year. It will be a new construction stand alone building, now under construction across the street from Post Falls City Hall at Spokane & 4th St. . The new Post Falls location will be around 2800 square feet and will have both indoor and outdoor seating areas along with a drive through. The menu will be much of the same from Roger's other locations including: fresh ground beef hamburgers, turkey burgers , veggie burgers, fresh cut French fries and homemade kettle chips. And, of course dessert will play a big part in the Post Falls Roger's Burgers location with over 16 different flavors of hand dipped ice cream and shakes & malts available in most any flavor! They've sat empty for several months now, raising the question, is anything ever going to go into the two building shopping center complex directly across Mullan Ave. from the Post Falls Wal-Mart store? The question has been heightened even more by the 2 " leased " signs the realtor placed in windows not long ago. But, some of the wait is over as late last week tenant improvement work began in one of the " leased " spaces including a sign announced the space ( and apparently the space next door to it... ) to be a new Jimmy John's sandwich shop. Jimmy John's corporate won't comment back and I can't find contact info for the other local franchise's but I do hope to have more info soon, somehow. When I do I will update this post with information about when they might open and more. Jimmy John's has expanded rapidly into the Inland Northwest over the last few years with another new store in the works for the Hayford Crossing development in Airway Heights. Ever since Greenstone began construction in Kendall Yards the hope has been to one day include a community grocery store in the development to serve the populous of the popular development, but also the nearby neighborhoods. Rumors of Whole Foods , Rosauers, Safeway & Trader Joe's stores coming soon have surrounded the neighborhood for a few years. But, the rumors of when & where Kendall Yards' grocery store will be, we're answered early this week with the announcement that Greenstone is moving forward and has applied for a building permit to construct a grocery store, which will not be part of a chain. The grocery store will be a small urban style store, similar to Seattle's Metropolitan Market. It will be called My Fresh Market and will be partially owned by Jim Frank who is also the CEO of Kendall Yards' developer Greenstone Homes. My Fresh Market will likely open for business in the Spring of 2017 with actual physical construction starting as soon as next month. The building will be new construction, built on the currently vacant lot on the Northwest corner of N. Monroe & Summit Pkwy, just north of the Monroe St. bridge. The store will be small with 26,000 square feet and two stories. The main floor will be grocery store with the upper floor still in development, likely for a cooking school and wine club. My Fresh Market's goal is also to connect the local community with area farmers and ranchers to provide only the best locally produced foods, a similar concept to some the restaurants already in the Kendall Yards development. Prepared foods will also be available with fresh pizza, sandwiches and sushi all available. We will continue to watch the My Fresh Market project as it progresses, and the rest of Kendall Yards which seeing a spike in new commercial building permits right now for other buildings / new apartment further east on W. Summit Pkwy.